Kitchen Garden - Welcome to Kitchen Garden - Britain's best guide to growing your own, with advice from the finest minds in gardening to make sure you get the tastiest produce from your plot. Tips on growing a wide range of fruit & veg crops, what to do on your plot month by month, recipes, tips and more. 14 links pointing to Kitchengarden.co.uk were found. 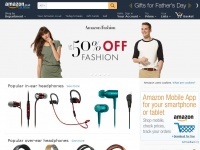 Individual words like Magazine, Garden and Kitchen are frequently used in text links from other websites. The most important links to the website are from Bins-n-benches.co.uk and Larsen-traps.co.uk. 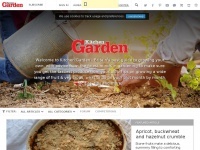 The homepage of Kitchengarden.co.uk and the subsite are most referenced by other websites. 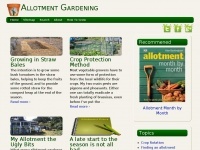 The table shows the most important links to Kitchengarden.co.uk. The table is sorted in descending order by importance. 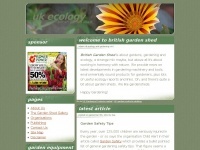 The table shows websites of Kitchengarden.co.uk, which are often linked by other websites and therefore they are classified as important content. 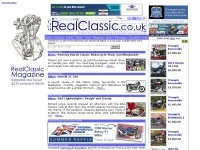 Realclassic.co.uk - Real Clas­sic - All a­bout bu­ying & sel­ling, ri­ding & ..
Gardencentreguide.co.uk - Gar­den Centres near me? Gar­den Centre Gui­de!